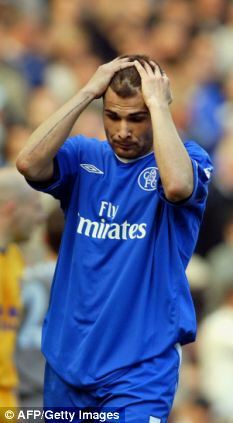 On 31 July 2009, the Court of Arbitration for Sport dismissed an appeal filed by former Chelsea striker Adrian Mutu, thus requiring him to pay €17,173,990 to the Blues in compensation for breach of contract. The dispute between club and player arose in September 2004, when Mutu, starting his second season with Chelsea, tested positive for cocaine use. The club sacked him the next month. He moved to Juventus the following January, but around the same time, Chelsea sued him for damages related to the costs spent to acquire him from Parma, the cost to replace him, and other expenses. In May 2008, the FIFA Dispute Resolution Chamber ordered Mutu to pay Chelsea €17,173,990, including €16,500,000 for the unamortized portion of the transfer fee Chelsea paid to Parma. At the time, it was the highest fine ever levied by FIFA. Mutu appealed the decision to the Court of Arbitration for Sport - his second appeal to the CAS during the lengthy proceedings. The CAS dismissed the appeal on 31 July 2009 and also ordered Mutu to pay the arbitration expenses for Chelsea in the amount of 50,000 Swiss francs. Mutu appealed a third time, but that appeal was dismissed in June 2010. 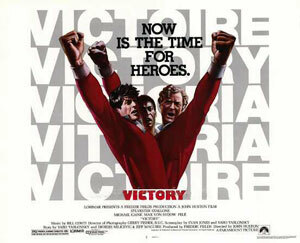 On 30 July 1981, Paramount Pictures released Victory, a film about a group of football-playing Allied prisoners of war in a German prison camp during WWII. Known as Escape to Victory outside of North America, the movie starred Michael Caine and Sylvester Stallone alongside a group of real-life footballers including Pelé and Bobby Moore. Based loosely on the 1941 "match of death" between Soviet prisoners and a German Army team, the film follows a group of POWs who agree to play an exhibition match against their captors and assemble a side led by Englishman Captain John Colby (played by Michael Caine). Pelé's character, Corporal Luis Fernandez, is from Trinidad and Tobago, while Stallone plays the team's inexperienced goalkeeper, American Captain Robert Hatch. Hatch organizes a plan for several of the POWs to escape at halftime, but, despite being down at the break due in part to biased officiating, they are convinced to stay in attempt to win the match. Near the end, with the sides even at 4-4, Fernandez scores the potential match-winning goal, but is incorrectly ruled offside. Shortly afterward, as time is about to expire, the referee awards the Germans a penalty kick, but it is saved by Hatch, causing a celebration in the stands. Using the celebration as cover, the POWs then escape. In addition to Pelé and Moore, the cast included Tottenham Hotspur star midfielder Osvaldo Ardiles, Manchester City midfielder Kazimierz Deyna, and several players from Ipswich Town. 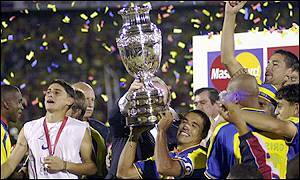 On 29 July 2001, hosts Colombia won their first Copa América title, beating invitees Mexico 1-0 in a Final that saw the visitors finish with nine men and no manager on the touchline. The competition almost didn't happen, as drug-fueled political violence in the country forced CONMEBOL to cancel it. But promises of increased security by the organizers allowed it to go forward, albeit without CONMEBOL member Argentina and invitee Canada, both of whom withdrew amid concerns over the safety of their players. Both Colombia and Mexico provided stout defenses throughout the tournament, with Mexico conceding only two goals, while Colombia had not allowed a single one. The Final proved to be much of the same, as the two teams battled through a scoreless first half notable mostly for the touchline ban issued against Mexican manager Javier Aguirre for his repeated excursions outside the bounds of the technical area. Colombia suffered a loss as well, losing the tournament's leading scorer, Victor Aristizabal to injury in the 25th minute. Colombia eventually got the edge in the second half with a 65th-minute header from defender and captain Iván Córdoba - his only goal of the tournament. The frustrated Mexicans began lashing out, earning two late red cards for Juan Rodriguez and Gerardo Torres, as Colombia earned their sixth consecutive clean sheet of the competition and raised the cup. On 28 July 2007, FC Barcelona played Edinburgh's Heart of Midlothian FC in a friendly. Although Barça got the win, Hearts got an unofficial home attendance record. The Catalonians' visit was a rare one to Scotland and the demand for tickets to see the glamorous side prompted Hearts to move the location of the match. Their usual home, Tynecastle Stadium, holds fewer than 18,000 people, so the club relocated the friendly to nearby Murrayfield Stadium, owned by the Scottish Rugby Association. Murrayfield's capacity of 67,130 makes it the largest stadium in Scotland and one of the largest in the UK. On the day, 57,857 people showed up to watch the preseason contest, blowing past the previous Hearts attendance record of 53,396, set in 1932 when Tynecastle still had terraces. Barcelona quickly showed their class, forcing early saves from Hearts keeper Craig Gordon before taking the lead with a 21st-minute penalty kick from captain Ronaldinho. Hearts, however, equalized just three minutes later after a Laryea Kingston free kick resulted in a tap-in from Juho Makela (pictured). Ronaldinho proved to be too much for the Scots as he restored Barça's lead with a 40th-minute header. He was replaced in the second half by new signing Thierry Henry, whose 51st-minute pass was knocked home by Giovanni Dos Santos to finish the scoring at 3-1. 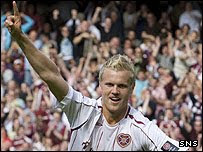 Technically, Barcelona were the hosts of the match, making the attendance record even more unofficial for Hearts. 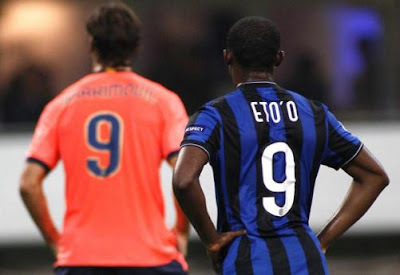 On 27 July 2009, Inter and Barcelona confirmed a transfer in which striker Zlatan Ibrahimović moved to Camp Nou in exchange for Barcelona striker Samuel Eto'o, a season-long loan of midfielder Alexander Hleb, and €46 million. With Eto'o valued at €20 million, the total value given for the Swedish striker was reported as €66 million, making him the third most expensive footballer in history, behind Zindine Zidane (€76 million in 2001) and Cristiano Ronaldo (€94 million in 2009), both of whom went to Real Madrid. After the deal was announced, Hleb refused to move to Inter, so Barcelona sent him on loan to Stuttgart and paid Inter an additional €3 million, raising the total value to €69 million. The deal had been rumored for weeks, fueled primarily by Eto'o's reported dissatisfaction at Barça. With Eto'o unsettled, the Catalan side turned their eyes to Ibrahimović, who was coming off his best season ever. He had scored 25 goals in 35 league appearances for Inter, winning his third consecutive Scudetto. Eto'o had performed even better, however, scoring 36 goals in all competitions as Barça won a Spanish-record six trophies, including La Liga and the Champions League. After the transfer, Eto'o again got the better of Ibrahimović, as Inter went on to win Serie A, the Coppa Italia, and the Champions League with a total of 16 goals from the Cameroon international, while Barcelona had to content themselves by winning La Liga and 10 goals from Ibrahimović in all competitions. Fatefully, the teams met three times in the Champions League, with Barça earning a win and a draw in the group stage, but getting eliminated by a 3-2 aggregate loss to Inter in the semi-finals. On 26 July 2009, England and Germany played a rematch of their meeting in the 1990 World Cup in honor of former England manager Bobby Robson. 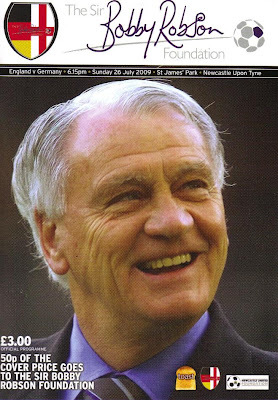 Proceeds from the match went to his cancer charity, the Sir Bobby Robson Foundation. The 1990 match, which was won by West Germany on penalty kicks, was Robson's last in charge after eight years at the helm of the national team. The sides met in the semi-finals, marking England's deepest run in the World Cup since winning it in 1966. After leaving the England job, Robson managed several clubs, including PSV Eindhoven (1990-92, 1998-99), Sporting (1992-94), Porto (1994-96), Barcelona (1996-97), and, lastly, Newcastle United (1999-2004). During that time, he had been diagnosed with cancer on five separate occasions. The last diagnosis, in 2007, was terminal. Shortly afterward, in March 2008, he launched the Bobby Robson Foundation to fund cancer research, detection, and treatment. The charity match was played at Newcastle's St. James' Park, with Robson in attendance. The England XI included ten members of the 1990 side, including Peter Shilton and Paul Gascoigne, while three players. Three players from the West German team, including captain Lothar Matthäus, joined the Germany XI. The remaining slots were filled by younger internationals and celebrity players such as singers Craig David and Simon Webbe. History appeared likely to repeat itself as the Germans took an early 2-0 lead in the 18th minute, but England leveled before the break. Newcastle hero Alan Shearer provided the winning goal with a 79th minute penalty kick and the match ended 3-2 for England. The match was Robson's last public appearance, as he passed away five days later. By the time of his death, the Foundation had raised £1.6 million and by late 2009, that number had risen to £2 million. 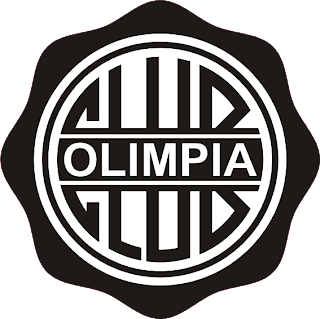 25 July 1902 - Personally, I Would Have Picked "Esparta"
On 25 July 1902, a group of ten Paraguayans and one Dutchman created Club Olimpia in Asunción. It is Paraguay's oldest and most successful team, with 39 league titles and three Copa Libertadores trophies. The original members were Paraguayans Sila Godoy, Fernando S. Pascual, José E. Torres, Gustavo M. Crovatto, Héctor Cabañas, Juan Rodi, Antonio Pedraza, Luis Marecos, Juan Mara and Genaro Gutiérrez Yegros, and Dutchman William Paats, who brought the very first football to Paraguay. He chose the club's name in honor of the Greek city of Olympia, birthplace of the Olympics. Other name candidates included "Paraguay" and "Esparta." 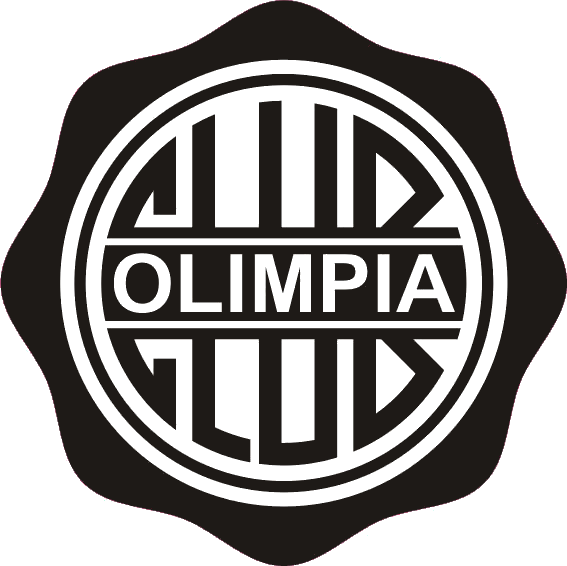 Olimpia won their first league title in 1912 and have won at least one title in every decade since. They enjoyed their most successful period from 1978 to 1983, when they won six consecutive league titles and their first Copa Libertadores (1979). They have also had two undefeated seasons in 1959 (as part of five consecutive titles) and 1993. They won their last league title in 2011 and won their third Copa Libertadores in 2003, along with that year's Recopa Sudamericana. 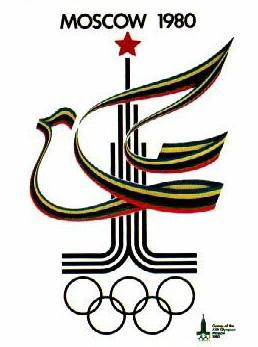 On 24 July 1980, the Soviet Union rolled to any easy 8-0 victory over fellow Communists Cuba in the first round group stage of the Summer Olympics. Striker Sergey Andreyev contributed a first-half hat-trick on his way to becoming the tournament's top scorer. The Soviet Union's invasion of Afghanistan the previous year sparked a boycott led by the United States, so that 64 countries refused to participate. Most of the traditional football powers competed, however, with the lone exceptions being Uruguay and World Cup holders Argentina. Cuba had not qualified for the tournament originally, but took the place of the withdrawn United States. Playing at Dinamo Stadium in Moscow, the two sides were playing for the group's top spot, with both having won their first two matches over other group members Zambia and Venezuela. But the Soviets quickly staked their claim, with Andreyev finding the back of the net in the 8th minute. The Cubans were heavily outmatched - the scoreline was 5-0 by the break and three second-half goals extended the lead to the final score of 8-0. Despite the beat-down, Cuba finished second in the group and progressed to the second round, where they lost 3-0 to Czechoslovakia. The Soviets advanced to the semifinals, but were beaten 1-0 by East Germany, then took bronze by defeating Yugoslavia in the third-place match. On 23 July 1966, Argentina met hosts England in the quarterfinals of that year's World Cup, sparking a heated rivalry that has provided some of the Cup's most dramatic matches and endures to the present day. The two countries had met five times previously, resulting in two wins each with one match abandoned because of poor weather. But the matches did not become a full-blown rivalry until the 1966 meeting. 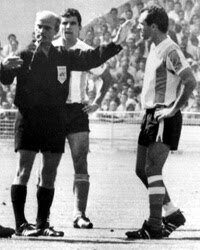 Playing before a crowd of 90,000 at London's Wembley Stadium, the match was unremarkable until the 35th minute, when German referee Rudolf Kreitlein ejected Argentina's captain, midfielder Antonio Rattín as the Argentine attempted to speak with him. The basis for the ejection was unclear. British newspapers claimed that the captain had been sent off for "violence of the tongue," while commentators in Argentina said that Rattín was tossed for giving Kreitlein a dirty look. Regardless of the reason, the ejection raised the emotions of the Argentinian players and the match took an ugly turn, with England winning thanks to a 78th-minute strike from Geoff Hurst. Afterward, England manager Alf Ramsey referred to the visiting players as "animals" and refused to allow the English team to swap shirts with them. England went on to win the Final, but the rivalry continued in future World Cups, including the 1986 meeting in which Diego Maradona scored the "Hand of God" goal, the 1998 match which England lost after David Beckham's ejection, and the 2002 match in which Beckham redeemed himself. The current record stands at fifteen matches, with six England wins, four Argentina wins (including one by penalty shootout), and five draws. 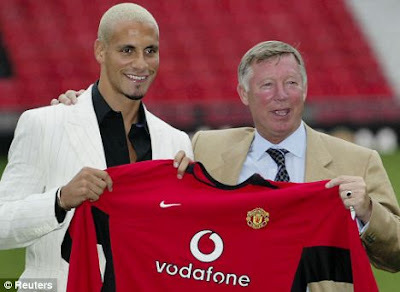 On 22 July 2002, Leeds United center back Rio Ferdinand joined Manchester United for a British record transfer fee of £30 million. It was the second record-setting transfer fee for Ferdinand, who had already become the world's most expensive defender. Ferdinand got his start with West Ham, where he played from 1995 to 2000. In November 2000, he moved to fellow Premier League side Leeds United for a fee of £18 million - the highest fee ever paid to that point for a defender, as well as the most for a British footballer (only France's Nicolas Anelka and Argentina's Juan Sebastián Verón had been sold for more, though Veron also went to Manchester United). Ferdinand played for two seasons at Elland Road and captained the side in 2001-02. But financial pressures forced the club to offload a number of star players and Ferdinand moved to Manchester United. The two teams initially agreed on a base transfer fee just under £30 million, with conditional performance clauses that could raise the payments, but Leeds' need for cash resulted in a lump-sum £30 million payment. The move has been good for Ferdinand, who won six League titles and the Champions League with United before leaving the club for Queens Park Rangers in 2014. 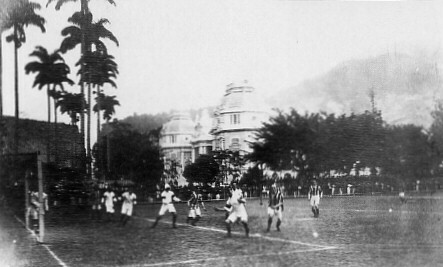 On 21 July 1914, the best players from clubs in Rio de Janeiro and São Paulo united to play a match against visiting English side Exeter City, thus forming the Brazilian national team. Exeter City had traveled to South America at the behest of Argentinian footballers, who had sent a request to the FA for a team to play against their local clubs. The FA chose Exeter City, then positioned in mid-table of the Southern League, as a representative English team. After their matches in Argentina, Exeter City scheduled three matches in Brazil before returning home. They won their first match 3-0 against a group of English expatriates, then beat a select Rio side 5-3. For the final match of the tour, Rio suppressed local rivalries to seek help from São Paulo's best players. An estimated overflow crowd of 10,000 people watched the combined all-star team play Exeter at Rio's Laranjeiras Stadium. After the Brazilians took a 1-0 lead with a goal from Oswaldo Gomes, the visitors became chippy, reportedly challenging Brazilian striker Artur Friedenreich so hard that he lost two teeth. The Brazilians got their revenge with a second goal, this time from Osman, to win the match 2-0. Since that match, the Brazilian national team has become one of the world's most successful teams, with a record five World Cup titles. 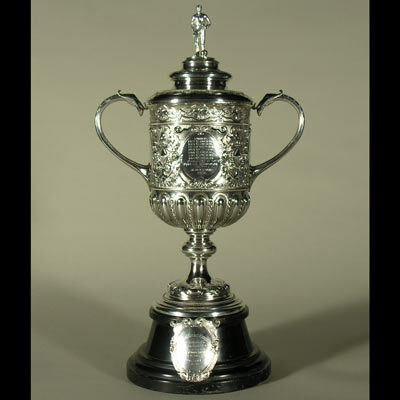 On 20 July 1871, FA secretary Charles Alcock made a proposal for the competition that became the FA Cup, the oldest association football competition in the world. At the meeting, Alcock, who had already been instrumental in the sport's development as captain of the English national team and organizer of the first international match between England and Scotland, suggested "That it is desirable that a Challenge Cup should be established in connection with the Association, for which all clubs belonging to the Association should be invited to compete." The idea was inspired by an inter-house competition at Alcock's alma mater, the Harrow School. The FA approved Alcock's proposal and fifteen teams competed in the inaugural tournament, which ran from November 1871 to March 1872. Wanderers FC, based in London's Battersea district, lifted that first trophy, led by their captain, Charles Alcock. They repeated as champions in 1873, and won the tournament again in 1876, 1877, and 1878. 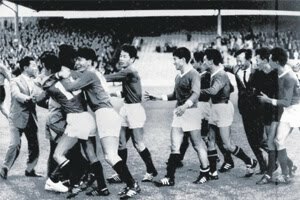 On 19 July 1966, North Korea staged one of the World Cup's biggest upsets, beating Italy 1-0 in the first round. After winning the World Cup in 1934 and 1938, the Azzurri went into decline and failed to progress past the first round in 1950, 1954, and 1962 (they failed to even qualify for the 1958 competition). Still, their 1966 squad included several of the era's most talented footballers, including Milan's Gianni Rivera and Inter duo Sandro Mazzola and Giancinto Facchetti. North Korea, on the other hand, were appearing in their first World Cup with a collection of semi-professional players who were relative unknowns outside of their home country. Playing before a crowd of 18,000 at Middlesbrough's Ayresome Park, the Italians needed only a draw to advance into the second round, having already secured a win and a draw in their first two matches. After their early attacks were denied by Korean goalkeeper Ri Chan Myong, the Azzurri fell back into a defensive formation designed to win the critical point. The Koreans, however, needed to win, with a loss and a draw in their first two matches. Taking advantage of Italy's reluctance to press, North Korea controlled the midfield and sent waves of attacks into the Italian area. They were rewarded with a 40th-minute match-winner from Pak Doo-Ik. The goal sent Italy home, where they were pelted with eggs and tomatoes by an angry crowd upon their arrival. The Koreans advanced to the second round, but were eliminated by Portugal. They returned to obscurity in North Korea, sparking several rumors that they had been punished by North Korean leader Kim Il Sung, but the rumors were later proven to be false. On 18 July 2005, Real Madrid completed their preseason US tour with a 2-0 win over the LA Galaxy at the Home Depot Center. Playing before a capacity crowd of 27,000, the Spanish starting XI included several of their newly-arrived superstar contingent known as theGalácticos, including Zinedine Zidane, David Beckham, and Michael Owen, as well as established players like forward Raúl and goalkeeper Iker Casillas. The Galaxy, on the other hand, were missing their marquee player, Landon Donovan. But despite the apparent gulf in talent, the MLS side quickly made clear their intentions to compete, with midfielder Pando Ramirez earning a 3rd-minute yellow card after hard tackles on Zidane and Michel Salgado. Real did not take long to claim the lead, with a goal from Owen in the 5th minute after an incisive Zidane pass unlocked the Galaxy defense, but the MLS side held firm for the remainder of the half and even created a handful of chances, forcing some excellent saves from Casillas. The match remained close enough that Real manager Vanderlei Luxembourgo kept many of his stars on the pitch deep into the second half. Both Zidane and Beckham came off in the 60th minute, while fellow Galáctico Owen remained until the 77th minute. His replacement, striker Roberto Soldado, scored the second goal shortly after coming on. The match was LA's first exposure to Beckham, who joined the Galaxy three years later. 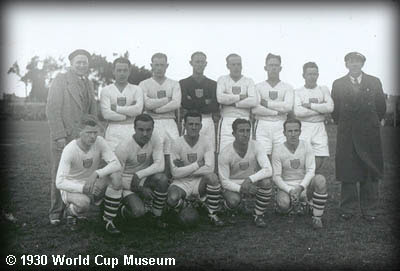 On 17 July 1930, US forward Bert Patenaude (pictured, front row, center) scored the first-ever World Cup hat-trick as the United States beat Paraguay 3-0 in the first round group stage of the inaugural World Cup. Played before a meager crowd of 800 at Montevideo's Estadio Parque Central, the match was the first of the tournament for Paraguay. The US had played one previous match, beating Belgium 3-0 on the tourney's opening day. Patenaude had scored the third goal against Belgium in the 88th minute. Against Paraguay, he picked up where he had left off by scoring in the 10th minute. The US went up 2-0 in the 15th minute, but for years FIFA credited that second goal to Patenaude's strike partner Tom Florie. Other reports claimed it as an own goal scored by Paraguay's Aurelio González. Patenaude unambiguously scored the third goal in the 50th minute to secure the 3-0 win and put the US through to the knockout stage, where they were eliminated by Argentina. Two days after the US-Paraguay match, Argentina's Guillermo Stábile netted three goals in their 6-3 win over Mexico, staking claim to the first-ever World Cup hat-trick. But in November 2006, FIFA confirmed Patenaude as the scorer of the second US goal against Paraguay, giving him the honor. On 16 July 2000, Spanish billionaire Florentino Pérez took office as president of Real Madrid, ushering in the club's first Galácticos period. Pérez, a civil engineer by training and the CEO of a large Spanish construction company, first ran for election as the club's president in 1995, campaigning on a platform of club mismanagement by the incumbent, Ramón Mendoza. He lost by 700 votes. In 2000, he ran again, this time against then-president Lorenzo Sans. He once more alleged mismanagement by the incumbent, as well as financial instability. Although the club had won the 1998 and 2000 European Cups under Sanz, they had not won the league since 1997 and had finished fifth in 2000. Pérez won the election, in part by promising to bring Barcelona star Luís Figo to the Bernabeu. Figo was quickly joined in Madrid by several other high-profile and expensive players, including Zinedine Zidane (2001), Ronaldo (2002), David Beckham (2003), Michael Owen (2004), and Robinho (2005), leading to the nickname "Galácticos." The strategy worked, as Real Madrid won the league title in 2001 and 2003, with a Champions League trophy in between. But the team started to fracture around different factions, resulting in Pérez's 2006 resignation. Pérez returned to the presidency in 2009 and immediately re-started his former policy, buying several expensive superstars that summer, including Kaká, Cristiano Ronaldo, Raúl Albiol, Karim Benzema, and Xabi Alonso. Although Madrid finished the season in second place behind rivals Barcelona, they won the league in 2012. 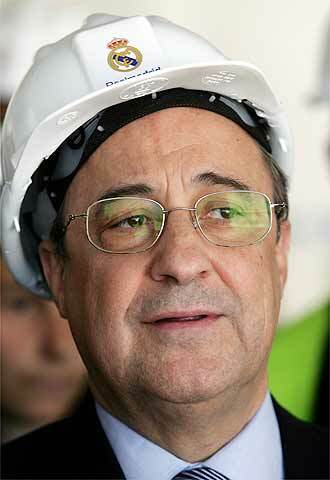 Pérez won re-election in 2013, then helmed the club to a record tenth Champions League trophy in 2014. Labels: Florentino Pérez, Real Madrid C.F. On 15 July 1989, 33-year old former Real Madrid winger Laurie Cunningham died in a car accident in Madrid. He had been the club's first English signing, which was one of many "firsts" throughout his fifteen-year professional career. Born in London, Cunningham signed his first professional contract with Leyton Orient. He played there for three years before moving to West Bromwhich Albion, where he was joined by Cyrille Regis and, the next year, Brendon Batson to mark the first time an English side fielded three black players at the same time. 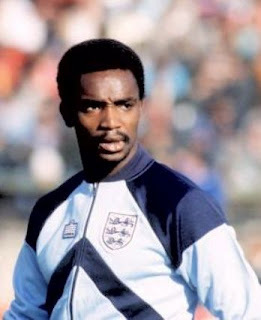 Cunningham's pace and exciting style of play drew favorable attention and he became the first black player to represent England at any level when he played for the under-21s in a 1977 friendly. Two years later, he became the first black player fielded by the English senior side in a competitive match (Viv Anderson had played earlier for England, but in a friendly). In the summer of 1979, he made his historic switch to Real Madrid for £950,000. He scored twice in his league debut against Valencia and also played well in both league matches against Barcelona as Real won La Liga and the Copa del Rey that season. The next season, he helped Real reach the European Cup Final, where they lost 1-0. But injuries soon impaired his ability and he went on loan to Manchester United (1982-83) and Sporting Gijon (1983-84) before transferring to Marseille in 1984. With his pace reduced, he spent the remainder of his career as a wandering journeyman, spending time with Leicester City (1985-86), Rayo Vallecano (1986-87), Wimbledon (1987-88), and Charleroi (1987-88). He returned to Rayo Vallecano in 1988 and scored the goal that secured their promotion to the Spanish First Division for the 1989-90 season. He was looking forward to his return to Spain's top flight when he had the car crash that killed him. On 14 July 1971, future 2010 World Cup Final referee Howard Webb was born in Rotherham, England. One of the sport's most respected officials, he is the first person to officiate the World Cup Final and the Champions League Final in the same year. Currently on a five-year sabbatical from his day job as a sergeant with the South Yorkshire police, Webb began his career as a referee in 1989 for local leagues in Rotherham. In 1998, he began working for the Premier League as an assistant referee and eventually worked his way to full Premier League status in 2003. Two years later, he began officiating international matches for FIFA. By 2010, he had earned sufficient recognition for UEFA to assign him to that year's Champions League Final, which was won by Inter Milan over Bayern Munich. Webb issued only three cautions in that match, including one to Bayern midfielder Mark van Bommel. 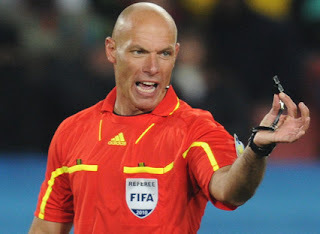 In the 2010 World Cup, Webb first refereed Spain's group-stage loss to Switzerland, then took charge of Italy's loss to Slovakia in Group F and Brazil's win over Chile in the Round of 16. The Final between the Netherlands and Spain was a brutal match, with the Dutch favoring a negative and highly physical style of play to thwart the Spanish flow. In that match, Webb made World Cup Final history by issuing 14 yellow cards, obliterating the previous record of 6 given in the 1986 Final. Two of those went to the Netherlands' Johnny Heitinga, earning him an ejection in extra time. One of them went to van Bommel, making him the only player to be carded by Webb in both the Champions League and World Cup Finals. While a number of Webb's decisions were controversial, including his issuance of a yellow card to the Oranje's Nigel de Jong for a 28th-minute karate-style kick on Spain's Xabi Alonso that probably should have been a straight red, he received overall praise for performing well in a match that would have tested the limits of any official. On 13 July 2006, the Federazione Italiana Giuoco Calcio ("FICG") announced the hiring of former AC Milan midfielder Roberto Donadoni as manager of the Italian national team. Donadoni replaced outgoing manager Marcello Lippi, who retired immediately after winning the 2006 World Cup. As a player, Donadoni was very successful, winning six Scudettos and three European Cups with Milan. He retired from playing in 2000 after a season with Al-Ittihad in Saudi Arabia and quickly turned to management, joining Lecco in 2001. After a brief spell with Genoa (2003) and two separate periods with Livorno (2002-03, 2004-06), he moved up to the national team. His tenure in charge of the Azzurri was moderately successful, but paled in comparison to Lippi's World Cup-winning reign. His first three matches in charge resulted in two losses and a draw, which prompted Italian journalists to call for the return of Lippi. Italy's only tournament under Donadoni was Euro 2008, in which the Azzurri suffered a 3-0 loss to the Netherlands - their worst defeat in over 25 years. Despite the loss, Italy advanced to the quarterfinals, where they lost on penalties to eventual champions Spain. After winning the previous World Cup, the elimination was considered a national disappointment. The FICG sacked Donadoni the next month and replaced him with Lippi, who had come out of retirement. Donadoni's brief term resulted in 13 wins and 5 draws out of 23 matches for the national team. 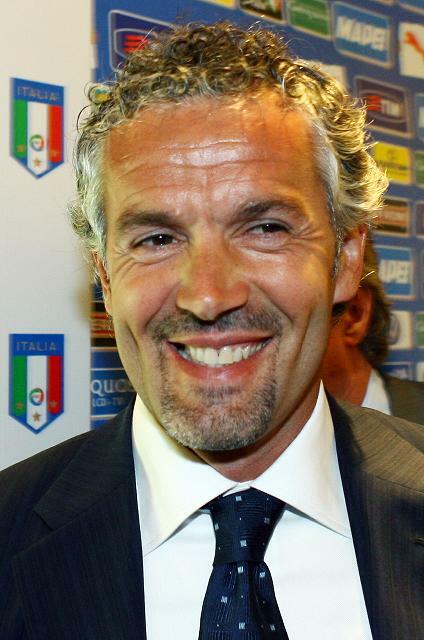 Donadoni moved on to Napoli, but was dismissed on 6 October 2009. On 12 July 1988, UEFA recognized Juventus as the first club to win all three of UEFA's major competitions—the European Cup, the Cup Winners' Cup, and the UEFA Cup—by awarding them the UEFA Plaque. One of the most successful clubs in Europe, Juventus won the first of their three UEFA Cups in 1977, defeating Athletic Bilbao over two legs by virtue of the away goal rule. In 1984, they won their only Cup Winners' Cup, beating Porto 2-1. One year later, they completed their triple crown, winning the first of two European Cups when they topped Liverpool 1-0 thanks to a Michel Platini penalty kick. Prior to that, Juve had twice finished as European Cup runners-up. Only two other clubs—Ajax and Bayern Munich—have followed Juventus by winning all three of the major UEFA competitions, but Juventus remains the only club to win all of the confederation's official tournaments and cups, including the Intertoto Cup (1999) and the UEFA Super Cup (1984, 1996), as well as the joint UEFA-CONMEBOL Intercontinental Cup (1985, 1996). On 11 July 1982, Italy claimed their third World Cup with a 3-1 win over West Germany at the Estadio Santiago Bernabéu in Madrid. Italy's campaign had started inauspiciously, as they drew all three matches in the first round group stage. But they righted the ship in the second round group, beating both Argentina and Brazil to reach the semifinals where they defeated Poland 2-0. The Germans, meanwhile, opened their tournament with a 1-2 loss to Algeria, but rallied to win their groups in the first and second rounds, including impressive second-round wins over Spain and England, then beat France on penalties to set up the Final against Italy. The Azzurri had a chance to take a first-half lead when winger Bruno Conti was brought down in the box, but while Conti was being treated on the sideline, left back Antonio Cabrini sent the penalty kick wide. 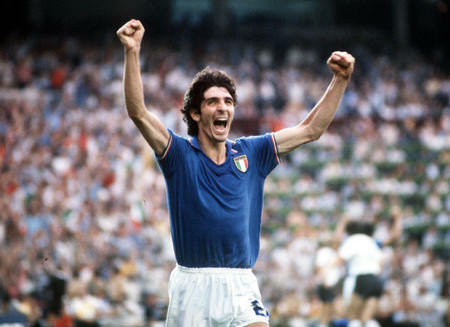 In the 57th minute, however, center forward Paolo Rossi scored with a header to put the Italians up 1-0. Midfielder Marco Tardelli doubled the lead in the 69th minute with a powerful shot from outside the box as the Germans looked unable to stop the Italians' flowing attack. Forward Alessandro Altobelli then added a third in the 81st minute, as he stood unmarked in the center of the box to receive a pass and tapped it in. West German midfielder Paul Breitner scored two minutes later, but it was a small consolation as the match ended 3-1. Rossi won the Golden Boot award with 6 goals and was also named the World Cup's first Golden Ball winner as the tournament's most valuable player. On 10 July 1994, Sweden advanced to the World Cup semi-finals by beating Romania on penalties, 2-2 (4-5). The match, played before a crowd of 83,500 at Stanford Stadium in California, took a while to get going as the teams were scoreless deep into the second half. But in the 78th minute, Sweden were awarded a free kick from about 25 yards out. While appearing ready to send the ball over the wall, the Swedes employed a little trickery and rolled it down the right side where an onrushing Tomas Brolin turned and fired it into the goal for a 1-0 lead. Romania equalized 10 minutes later with a free kick of their own that dropped in the box to the feet of Florin Răducioiu, who drilled it into the top of the net. Răducioiu then put the Romanians ahead in the 101st minute with a strong shot from the top of the box, but Sweden drew level in the 115th minute as a long cross found forward Kennet Andersson in front of the goal for an easy header. In the ensuing shootout, the first kick fell to Sweden's Håkan Mild, who sent the ball well over the bar. 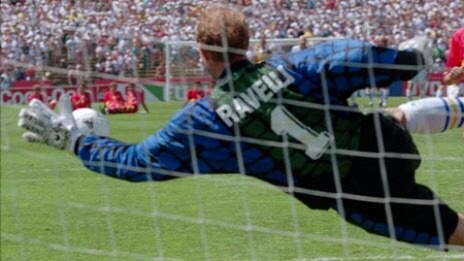 But after three successful Romanian kicks, Swedish keeper Thomas Ravelli (pictured) saved the fourth. Even at 4-4 after five kicks each, the shootout went into sudden death. After Henrik Larsson converted for Sweden, Ravelli stopped the shot by Miodrag Belodedić for the win. Sweden advanced to the semifinals where they lost to Brazil, 1-0, but they beat Bulgaria 4-0 in the third place match to secure their best finish since finishing as runners-up in 1958. On 9 July 2006, Italy won their fourth World Cup title in a dramatic match against France that ended in a penalty shootout. It was the last competitive match played by three-time FIFA World Player of the Year Zinedine Zidane, who was ejected in extra time after headbutting Italian defender Marco Materazzi. France had struggled to get out of the group stage, managing only one win and two draws, but advanced through the knockout rounds with impressive wins over Spain (3-1), Brazil (1-0), and Portugal (1-0). Italy, meanwhile, won their group with ease before defeating Australia (1-0), Ukraine (3-0), and Germany (2-0, aet) to reach the Final. France went ahead in the 7th minute after the referee awarded a controversial penalty for an apparent foul on Flourent Malouda, though replays suggested Malouda had gone down in the box with minimal contact. Zidane converted to put France up 1-0. But Italy drew level twelve minutes later when Materazzi headed the ball in from a corner kick. The teams then stayed even at 1-1 through regulation and extra time. 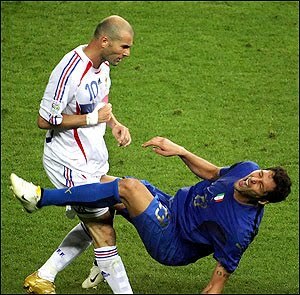 During the second extra time period, Zidane and Materazzi exchanged words and Zidane responded by head-butting the defender in the chest and earning a 110th-minute ejection. Reports later claimed that Materazzi had made offensive remarks about Zidane's sister. Zidane was thus unavailable for the penalty shootout, which Italy won 5-3. The only miss came from French striker David Trezeguet, who bounced his shot off the bar. Despite the ejection, Zidane was named to the tournament's all-star team and won the Golden Ball as that Cup's most valuable player. On 8 July 1990, West Germany won their third World Cup trophy, beating defending champions Argentina in an ugly Final that saw the South American side reduced to nine men before the end. It was a rematch of the previous Final, in which Argentina had beaten the Germans 3-2. Unlike the 1986 Final, however, the 1990 one was a dire, negative affair widely considered the worst Final in the tournament's history. Playing before a crowd of 73,603 at the Stadio Olimpico in Rome, both teams used a negative defensive style despite the presence of ordinarily dynamic playmakers such as Diego Maradona and Rudi Völler. After a scoreless first half, the match took a turn for the worse when Argentina defender Pedro Monzón, who had come on as a 46th-minute substitute, received a straight red card for a foul on Jürgen Klinsmann, becoming the first-ever player to be sent off in a World Cup Final. The second was not far behind. After an 85th-minute Andreas Brehme penalty gave West Germany the lead, thanks to a foul on Völler by midfielder Roberto Sensini, forward Gustavo Dezotti earned his second yellow card of the night and was ejected in the 87th minute. The Germans held on for the remainder of the match to claim their third World Cup, tying them with Brazil as the country with the most World Cup titles. 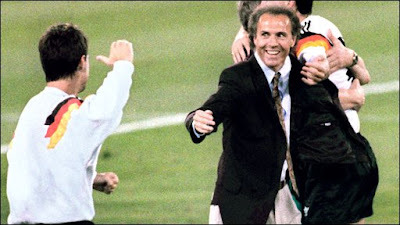 With the win, German manager Franz Beckenbauer became only the second man (after Brazil's Mario Zagallo) to win a World Cup as a player and manager.